"What then, in 1942, had the RAF available with which to meet the Japanese?" No. 126 in the 'Aircraft in Profile' series. 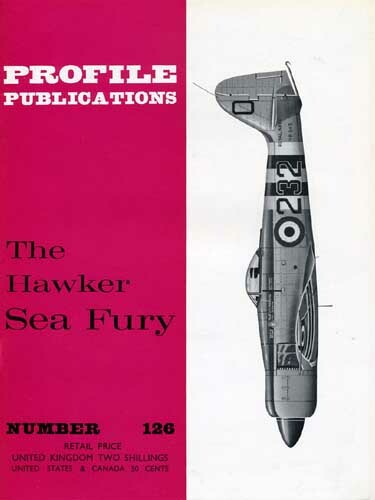 Detailed description of the design, development and operational history of the Hawker Sea Fury, a British fighter developed during World Ward Two. It was last propeller-driven fighter to serve with the Royal Navy. Well illustrated with colour drawings by James Goulding and R. Ward, also many black and white photos.